Moosic, Pa. - The Scranton/Wilkes-Barre RailRiders (Triple-A/New York Yankees) have been a win-win proposition for years. The partnership of the world's most famous and successful baseball team's top-tier farm club with outstanding, affordable, family-friendly entertainment has meant victory for all of NEPA. In 2015, add another possible triumph to the list. The team has added a 50/50 raffle with half of the proceeds going to a lucky winner and the other half heading to the Ronald McDonald House of Scranton. "The people of Northeastern Pennsylvania are so generous and eager to help others," said Patricia Stella, president of the McDonald's Association of Northeastern PA and a local owner/operator. "This season, in partnership with the RailRiders, we encourage fans who attend the games to participate in the 50/50 raffle. The money that is raised will help our Ronald McDonald Houses in Scranton and Danville continue to reach out to the local community and help families with seriously ill children." "We appreciate this valuable opportunity to share the mission of the Ronald McDonald House with our community," said Rich Bradshaw, executive director of Ronald McDonald House Scranton. "Truly it is only through the support of our local community that we are able to help so many families all year round. We are pleased to count the Scranton/Wilkes-Barre RailRiders as one of our mission supporters and proud to have them as our friends." "We are delighted to partner with the good folks at McDonald's and the Ronald McDonald House," said RailRiders interim GM Jeremy Ruby. "We view ourselves as NEPA's team and hope this effort with half the money helping the local community and the other half creating a very happy and lucky fan in the stands demonstrates our continued efforts in that regard." The RailRiders' 2015 season begins on Thursday, April 9 when the club hosts the Syracuse Chiefs (Washington Nationals). 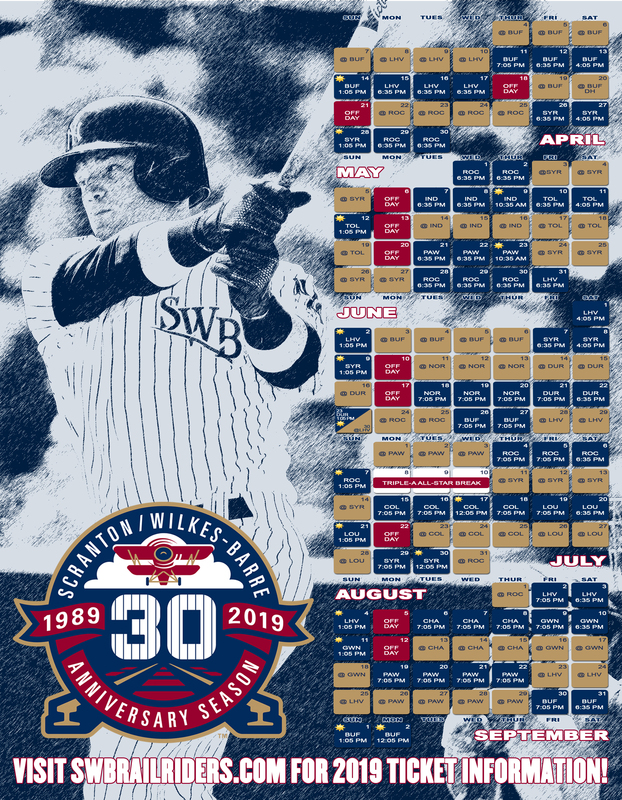 For season ticket information or to book a ballpark group outing, call (570) 969-BALL (2255) or visit swbrailriders.com.